Construction in progress are often the subject of property disputes. These issues arise because the law does not allow us to interpret the notion of "unfinished", it has no clear definition. To draw in property unfinished, you need to know what is included in this concept. The unfinished construction object, to which you are applying, should be considered real estate. The law treats the concept as object, connected with the earth that cannot be moved to another location without damage to the destination. In addition, the main stages of its construction have to be completed. If you meet these requirements, the unfinished building can be identified as the property and talk about the right to it. In that case, when you were in the role of an investor, the contract between you and the Builder may become the basis for the recognition of your rights to the unfinished property. The obstacle to this is spelled out in the contract the condition that the apartment is transferred to the property investor only after the residential building will be commissioned. This condition greatly complicates the recognition of your ownership rights to the unfinished apartment. 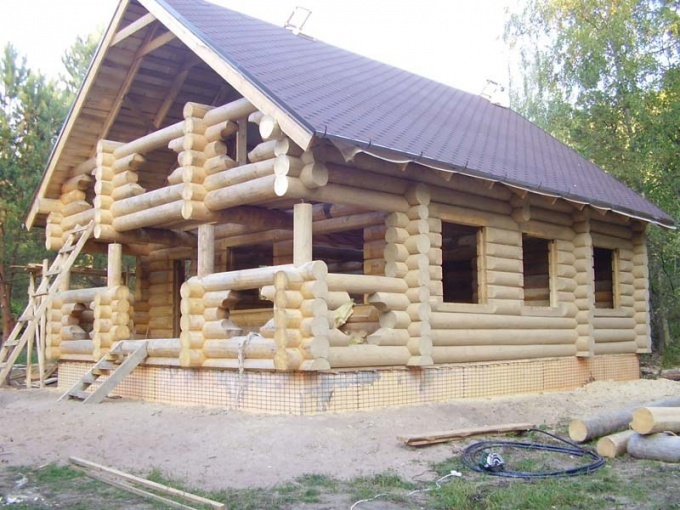 When you erect a structure on the land, the right of ownership arises only the moment of state registration of buildings, as it follows from article 219 and 130 of the Civil Code of the Russian Federation. In order to formalize the right of ownership, prepare the documents. It includes: description of the construction and project documentation, properly executed building permit, documents of title to the land. If the land documents are not drawn up properly, the object of unfinished construction in this case will be considered illegally constructed structure. By law he may be subject to demolition. To draw in property unfinished, you need to first make land and project permits, otherwise you risk being left in ruins. To place the unfinished building in the property, you will also need to submit technical passport of BTI, the document confirming the fact of preservation or suspension of construction, cadastral plan of the land plot with the applied contours of the buildings. To register ownership rights to the facility under construction must be selling it. Registration is done in PPRC according to the Federal law No. 122-F3 on the basis of submitted documents. For the registration of ownership rights construction in progress refer to the BTI application on the call technical engineer. Submit the title documents for the land plot, permit for constructionissued by the Department of architecture and urban planning, project and design of buildings and engineering-technical facilities. If the site has a dilapidated structure, you will need to show evidence of ownership of the old house. 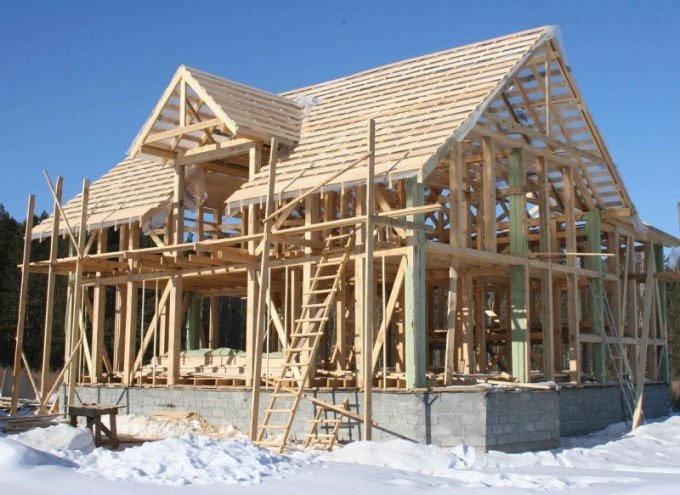 On the basis of an inspection of your unfinished home, you will be the technical documents, and submitting them to the unfinished construction in accordance with the form in which it is at the time of treatment in the BTI. Get registered technical passport. For the registration of ownership of the unfinished building you will need to extract from the cadastral passport of the land plot and a copy of the cadastral plan. Please contact FUSCK a statement. Also get the extract from the cadastral passport and a copy of the cadastral plan for the dilapidated structure, if it exists on the land. If the rights of ownership of the old house and land is formed of several people, all co-owners are required to contact FPRC personally or give you a notarized power of attorney to legally significant actions for them. See the statement in PPRC. Imagine the passport of all owners of the land and dilapidated buildings, a certificate of ownership on specified objects, statement of cadastral statements, technical passport of the object under construction, permission of the Department of architecture, design and sketch buildings and engineering structures. Pay the state fee for the registration. On the basis of submitted documents of your property rights register, and you will be able to dispose of the facility at its own discretion. Started construction of a private house may, at the confluence of unfavorable circumstances be jeopardized if the funds for the completion of construction works is not enough. Permission for construction of the permanent facility; the document proving the right of land use; the document proving the identity of the applicant; the document confirming payment of the state duty for state registration; state registration of rights. Get ready for what is usually almost any building, the construction of which is not over, sooner or later will require from the owner the extra effort. In particular, what is already built – the Foundation box home – it has to be in the form of unfinished construction. This will need to take out a Bank loan, and in order to sell the property. Keep in mind that construction in progress (often referred to as unfinished or "unfinished") in 2004 were attributed by laws to real estate. They were added to the Civil code of the Russian Federation on the basis of strong ties with the land. Don't forget about all the possible nuances in registration of ownership in these properties. Clearly distinguish the circumstances under which a set of building materials can already be considered a new object of immovable property. This significant fact affects the application of certain rules of law. If you have a permit for the construction ofthe document for the right to use the land, to register the unfinished house much easier. Without these documents the object under construction can not exist. And their presence confirms that the building cannot be included in the category of "unauthorized construction". If you were a construction according to the construction contract, in this case a legally binding termination of such agreement in accordance with the Civil code of the Russian Federation is considered the moment of occurrence of the object under construction. If a house you built yourself, it can also be regarded as an unfinished estate. To do this, write an application, pay a state fee, take the passport, the certificate on the property right (in perpetuity, lifetime inheritable possession) to the land plot or the agreement on its lease, and the resolution of the relevant Executive authorities to carry out construction on the land plot, issued in accordance with the requirements of the town planning code of the Russian Federation. Bring the documents to the registration chamber. Get ready to check may be required and other documents. For example, the description of the object under construction, made by the authorized body of technical records, or documents which confirm the applicant's right to object, if the construction was equity. The right of ownership to unfinished or unfinished construction object, arises from the moment of state registration (article No. 219, No. 130 of the RF Civil code, Federal law No. 122-F3, article No. 25). To make deals with the object, including to sell it, only after registration of ownership rights. 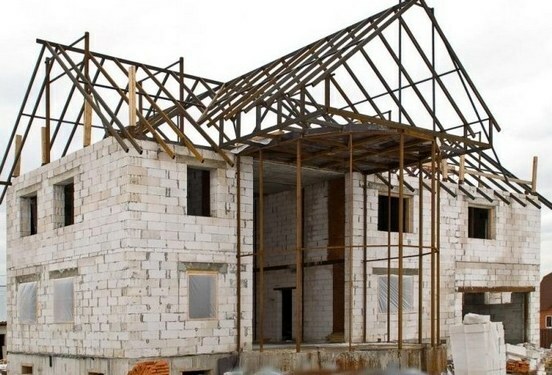 To place the unfinished property, it is necessary to prepare a package of documents on the basis of which will conduct state registration at the Federal registration centre. The object must be the construction certificate and the construction permit obtained from the district Department of architecture and urban planning. The land on which is located the object under construction should be decorated in the property. If the land is leased, obtain a decree in the local administration, cadastral extract of the land Committee and register the right of ownership by submitting the documents and the application to the registration center. The description of the object in the form in which it is at the time of registration, conducts technical officer of BTI. Apply, you will come to the authorized representative of the Bureau of technical inventory, examine the object and make its technical description at the time of registration. The registration centre apply, technical details, construction certificate, construction permit, design documentation for building and engineering communications, certificate of ownership of the land, pay the state fee for the registration. Based on the submitted documents the construction in progress will be registered. Only after obtaining ownership rights you will be able to sell it. The sale is in a General manner. Sign a contract, act of transfer and acceptance. If the ownership is registered on a few people or you started building, being in registered marriage, pre-get a notarized authorization from all owners and the spouse. Prepared documents filed in regcenter for registration of ownership rights to new owners.